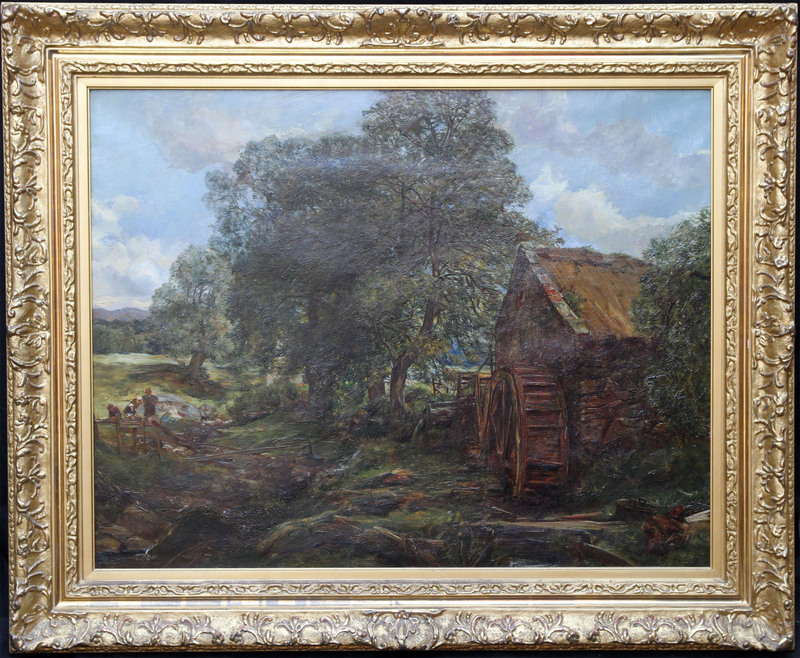 A fine Scottish Victorian Impressionist landscape scene by Alexander Fraser RSA. 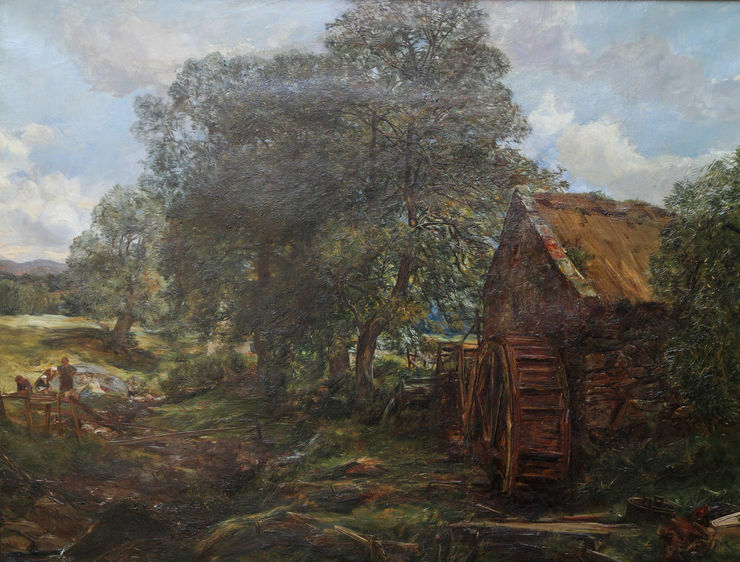 The work depicts "Old Mead Mill" in an Impressionist palette and dates to about 1875. The painting depicts a working mill landscape with a river and children playing. The work is housed in a stunning Scottish gallery frame. A fine example of Scottish plein art Impressionism which reminds one of other early Scottish Impressionists like Sam Bough, William MacTaggart and Jospeh Henderson. Signed and titled verso. Housed in a stunning gilt gallery frame 46 inches by 38 inches, in very good condition.